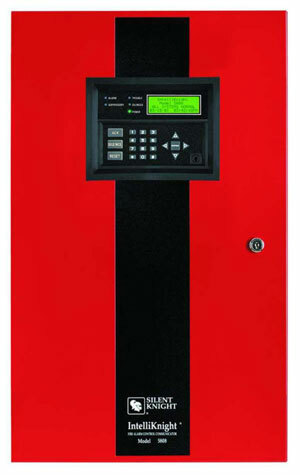 The IntelliKnight 5808 is a 127-198 point single loop addressable fire alarm control/communicator system. Powerful features such as drift compensation, maintenance alert, built-in digital communicator, and distributed intelligent power are delivered in this powerful FACP from Silent Knight. The 5808 is one of many Silent Knight products Maziuk has in stock. For complete systems to replacement service parts, let Maziuk be your source for Silent Knight products.